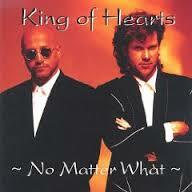 King of Hearts Band – King of Hearts Rides Again! Welcome to the King of Hearts official site! Listen up – New music is coming so STAY TUNED. Samples and Pre-orders available here exclusively. Welcome all West Coast Music Fans! So great to hear from so many of you. We’re starting up the engines on a new project, we hope you’ll come along with us for the journey. You can follow the King Of Hearts on Facebook with the icon above or this link. Tommy and Bruce have performed on hundreds of albums. You’ll find a selection of videos and discussions on both the King Of Hearts Facebook page and the new YouTube channel. This link or the YouTube icon above will take you there. We would love to have you subscribe, the more the better!